Award-winning chef Yiorgos Venieris drew inspiration from classic South Asian dishes and natural Greek ingredients creating a unique fusion restaurant. The menu offers reinvented classics, like massaman lamb curry and Pug Thai Prawns with Yellow Curry. Located above Mykonos Town, the restaurant features exotic yet stylish décor and a view of the Aegean Sea, ideal for watching the sun set. 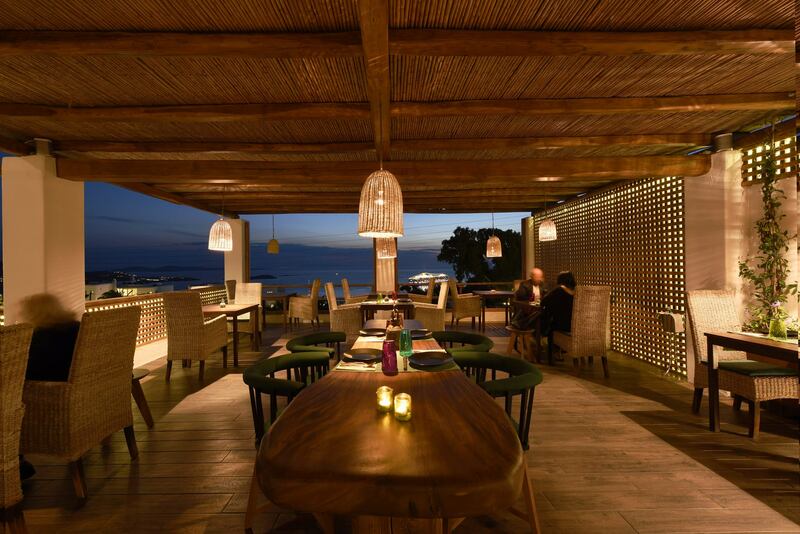 The peaceful environment, sea views, and flavoursome cuisine aim to please a demanding local and foreign crowd.